Curtains are a beautiful addition to any room, as they add more character to every setting. Shower curtains are useful in preventing water splashes on the bathroom floor while also creating a division between the loo and the shower area. Updating the shower curtain in your bathroom is also the most affordable way to add a fresh appeal to it. There are a few prerequisites for buying the shower curtain and the ones that are water-repellent and mold-resistant would prove to be the best in the long term. Simple, sheer patterns always work the best in a bathroom that has the classic white tiles. Sheer white curtains bring an unadulterated opulence to the setting, making your bathroom look orderly and neat. This printed white shower curtain comes in a polyester fabric and also has a water repellent coating to make sure your bathroom does not become a puddle of bath water. For a bathroom that runs on an aesthetic theme, this Indian printed cotton shower curtain would be a wonderful addition. 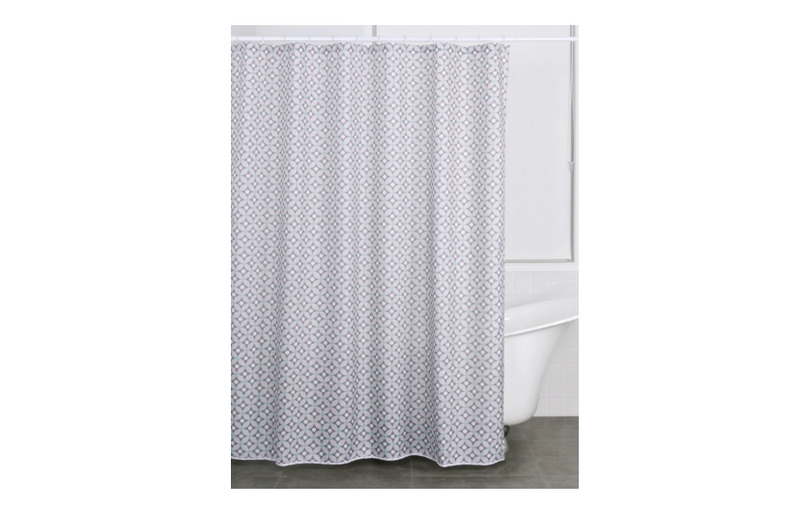 Crafted in lightweight cotton, the shower curtain features 12 neat buttonhole openings for easy hanging. This hand block printed curtain is perfect for a luxurious Indian home. 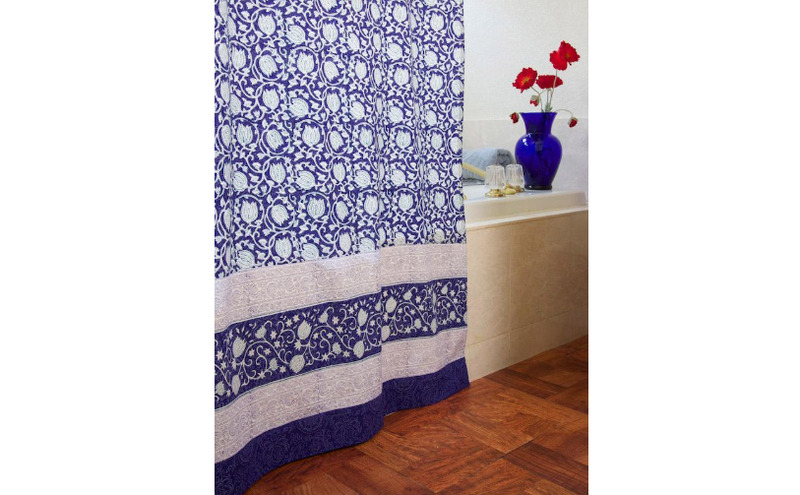 For dominant Indian theme, add blue pottery accessories to your bathroom to complement the shower curtain. Most bathrooms tend to be painted in neutral colours of white, cream and ecru. Opting for subdued shower curtain like this printed one will save you the task of matching all your bathroom accessories to look put-together. This shower curtain is made in polyester to last long. 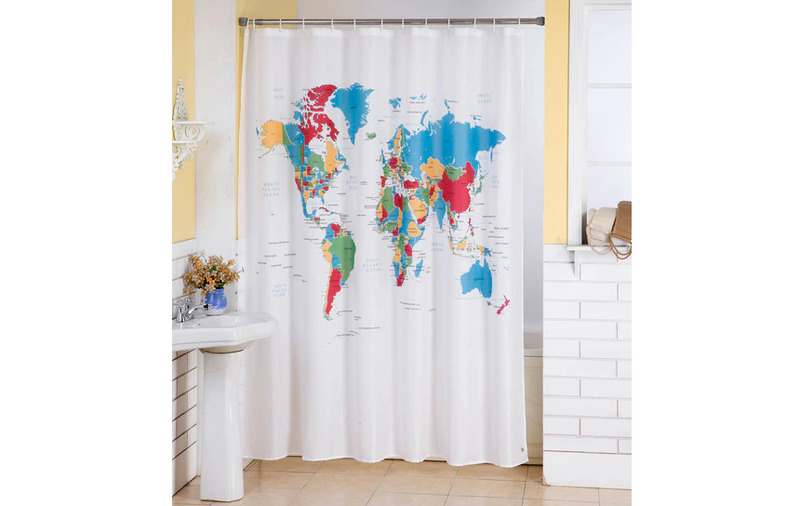 For young residents who want to add a fun quotient in their bathroom, this world map shower curtain would be ideal. Designed with bright colours representing various countries, this shower curtain will add a colourful vibe to a simple bathroom. 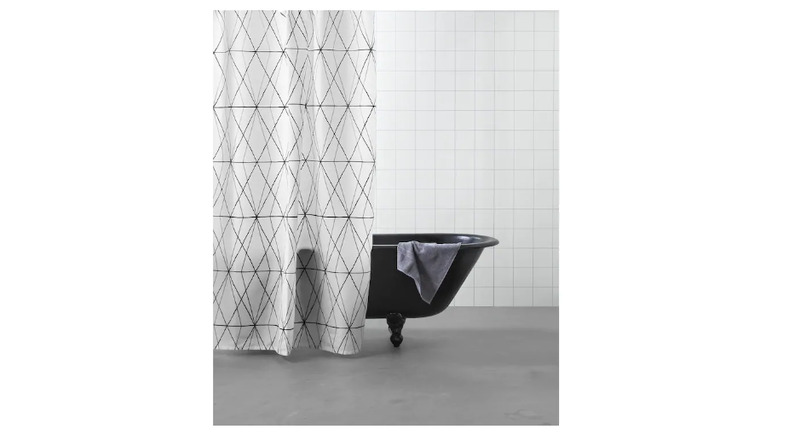 This shower curtain is waterproof and is designed to be functional, without compromising on style. It is also easy to take care of this shower curtain as it can be machine washed in cold water. 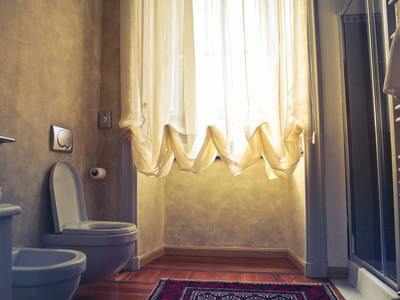 If needed, the curtain can be also ironed on low heat to make it crinkle-free. 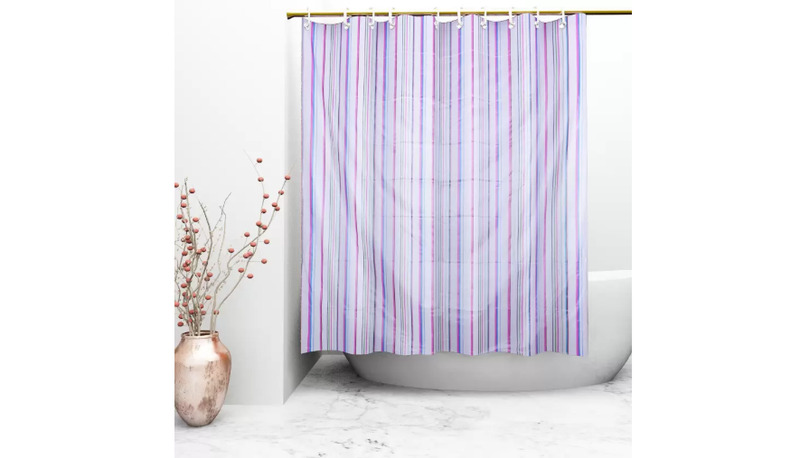 Another choice that will bring more colour to your bathroom, this shower curtain features colourful stripes and is manufactured in PVC material which makes it waterproof and durable. The size of the shower curtain is 54 inches x 84 inches and it comes with 8 plastic hooks to facilitate easy installation. For individuals who are setting up a new home and are also investing in redecorating their bathroom, this vibrant and graphic shower curtain can be their go-to choice. 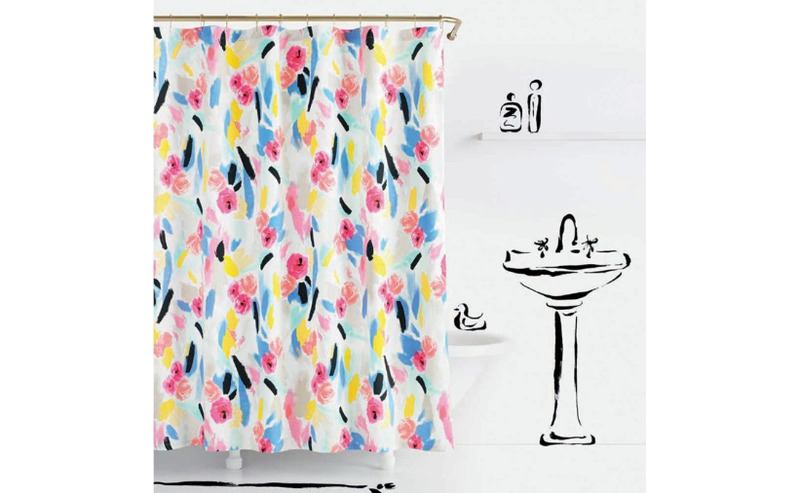 Constructed in 100% cotton, this colourful shower curtain will certainly add an artsy vibe to your bathroom. Get this creative shower curtain to completely transform your bathroom.